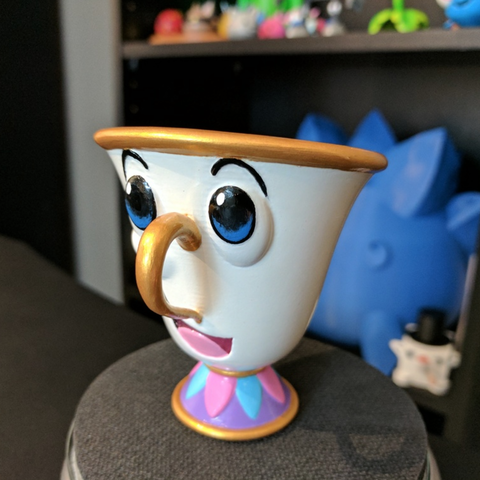 With the live action Beauty and the Beast movie just around the corner, I figured it would be the perfect time to create some of the characters from that movie. So this is Chip. 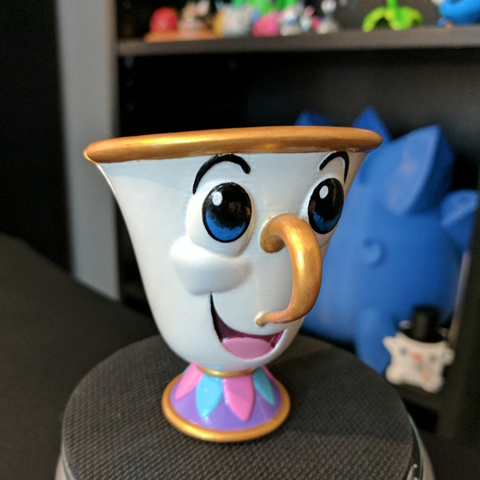 The little cup with a chip in the side from the 1991 animated movie. I created the model in Fusion 360 using the sculpting environment to get the main shape. Then I finished up the face details with sketches. 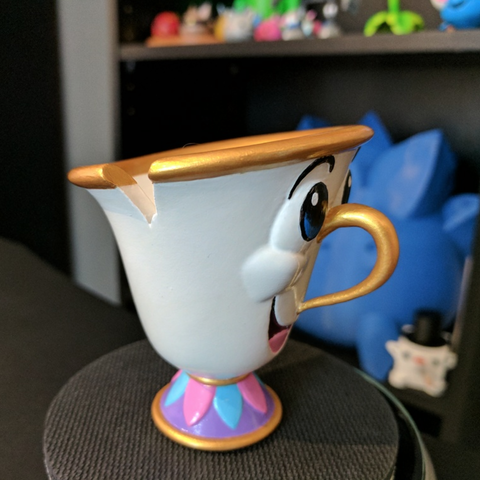 After it was finished printing, my wife painted it. She started by using automotive filler primer. Then she painted him using acrylic paints and paintbrushes. Then to finish it up, she sprayed it with a glossy clear coat.